Is jazz the classical music of the 20th century? On the eve of their sold-out performance in the concert venue’s grand hall, we meet Scandinavian piano trio Rymden. It’s an uncharacteristically warm afternoon in February and the observation deck at Hamburg’s Elbphilharmonie is teeming with visitors. Free to the general public, the plaza—which boasts a 360 degree view onto Germany’s second largest city—has already drawn over half a million guests since it opened in November 2016. Both of tonight’s performances, by the avant-garde musician Laurie Anderson in the Recital Hall and jazz supergroup Rymden in the Grand Hall, have already sold out. Looking at the scene, it’s hard to imagine that the Herzog & de Meuron designed concert hall was once mired in controversy. But back in 2010, as the scheduled opening date was delayed and costs ballooned from the planned 186 to an estimated 323 million euros (the final price tag was an eye-watering 798 million), public support for the project was at an all-time low. 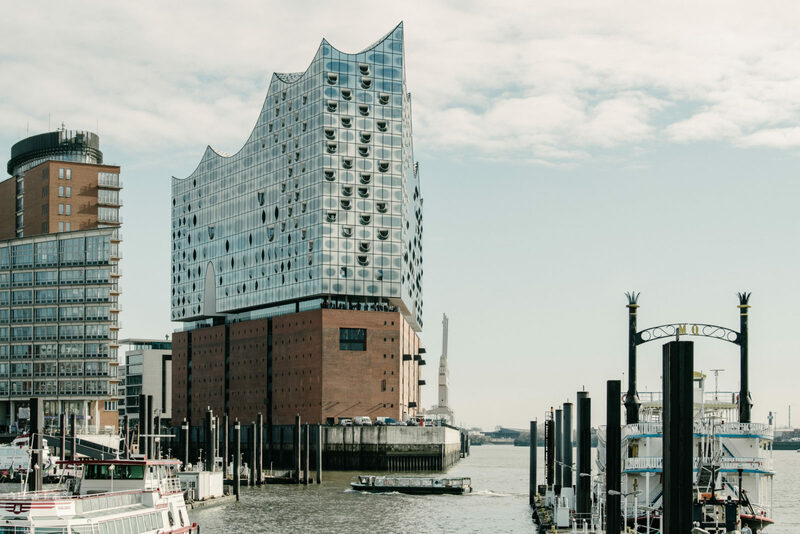 It wasn’t just the city’s financial mismanagement that provoked locals; for many, the Elbphilharmonie had become a symbol of elitism—a place paid for by taxpayers for the benefit of a wealthy few. Fast-forward nine years and any signs of dissent have disappeared. Not only has the building’s design been widely celebrated by the press—The Guardian’s architecture critic Oliver Wainwright said the project was “of unparalleled intricacy and complexity, dreamed up with a level of ambition reminiscent of Kaiser Wilhelm’s megalomania”—it has also proven to be a commercial success. It’s an outcome that can’t be attributed to the building alone. Under the leadership of Artistic Director Christoph Lieben-Seutter, the Elbphilhamonie’s program includes a mélange of genres, from singer-songwriters and rock bands to pop acts and traditional folk musicians. The Elbphilharmonie has also reached out to other groups in Hamburg who might have otherwise given the concert hall a wide berth; they organized a festival of Syrian music in 2017 and have acted as a venue for the citywide Reeperbahn Festival, which is a mecca for young indie music fans, since 2016. Elbphilharmonie is now on its third edition of ‘Jazz at the Phil,’ which brings together legendary musicians from all over Europe, Africa, and the US, who—in typical Elbphilharmonie fashion—mix styles ranging from contemporary hard bop and rock to electronic and bossa nova. Tonight’s performers, Scandinavian piano trio Rymden, comprised of Bugge Wesseltoft from Norway and Dan Berglund and Magnus Öström from Sweden, are perfect examples of the program’s spirit. Full of crashing drums and electronic reverb, their debut album Reflections and Odysseys shows clear influences from outside the jazz canon. Heard live, its tracks oscillate between ambient soundscapes reminiscent of prog-rockers Pink Floyd and the stirring melancholia of a Hollywood movie soundtrack. After years of existing within the same music circles, they’ve finally decided to come together, in part, because of the unique experience of being part of a piano trio. “I think it’s about the energy flow,” explains Öström, “because it’s small enough to turn fast together and the energy goes around, it doesn’t go back and forth as you do in a duo. The more people you have the longer it takes to turn the ship.” This shared direction is obvious on and off stage; during the interview and photo shoot, the trio is constantly cracking jokes, clearly delighted to have the opportunity to work together. For more information on Rymden and to see their upcoming European tour dates visit their website. For more music content on FvF, you can head over to our mixtapes section to hear track selections from our favorite emerging artists, or read a recent interview with Los Angeles-based musician Sasami.